A unique profession resource option for parental assistance for kids enrolled in public school concurrent enrollment, or kids who are homeschooled. Timely and relevant articles for lay parents seeking to become “experts” of their own children. Dr. Gary Thompson Twitter feed. Vice-Chair Thomas’s response to Ms. Swazzey’s letter failed to answer many important issues vital to the economic, educational, financial, and moral health of our community. His non-response was a attempt to get stakeholders in education to focus on irrelevant “trees” at the expense of the “forest” comprised of our children. That is unacceptable to me as citizen, father, and local clinical community scientist. These issues are answered under the constructs of peer reviewed science, parental common sense, and “best practices” ethics in the joint fields of education, assessment psychology, and psychometrics (the field of test design). My focus is on the parents in our joint communities. What the respective Board’s of Education and politicians in Utah and Florida do, or do not do, with this information is not a concern of mine. The world education politics is lucrative, and brutal. I want no part of that world for me, my family or our clinic. This post is by a parent, for a parent…and any parent can write me directly at drgary@earlylifepsych.com with any questions. Press and politicians need not enquire. Clinical Psychologists are the only mental health care professionals in the country trained and educated concurrently with providing therapy and psychological testing. As a graduate student in this field, securing needed, multiple testing clinical Clerkships, Internships and Post Doctoral trainings are both a matter of luck and skill. Clinical training openings are available for about 1 out of every 20 applicants. The few lucky ones who get to work side by side with a expert level assessment psychologist, are subjected to thousands of hours of training, observation and evaluation in the areas of test validity, administration, and assessment ethics as such apply to human subjects. (Doctoral level psychometricians, however, do not have training and experience with administering the test they create with live clinical clients. Crudely stated, psychometricians create the test, psychologists give the tests and interpret results). As a third year doctoral student, I was one of the lucky few in Southern California to be trained at the California Family Counseling Center Testing Clerkship under the direction of clinical psychologist Dr. “Jones”. 1. Every cognitive, emotional and academic test has strengths and weaknesses. Knowing what a test cannot do, and what populations it fails to accurately and validly measure in with an acceptable degree of statistical measurement, is of paramount importance ethically and clinically. 2. No machine (e.g., psychological test) or data obtained from a machine, can replace common sense knowledge of parents, clinical observation/instinct/training, knowledge of cultural factors, and professional ethical values. The respective offices of education in the States of Florida and Utah are currently exhibiting the same dangerous levels of arrogance I exhibited as a new trainee in clinical psychology, by placing an almost “religious-like” reliance on numbers,and failing to understand the basic concepts of test validity and the ethics surrounding academic and achievement assessment, and test development. 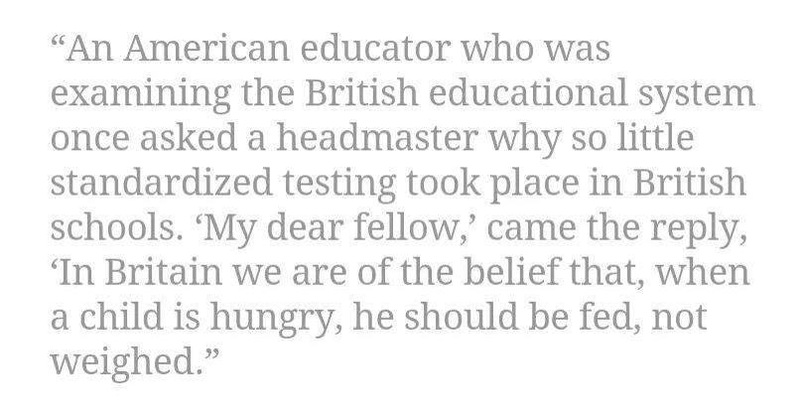 No test is perfect. 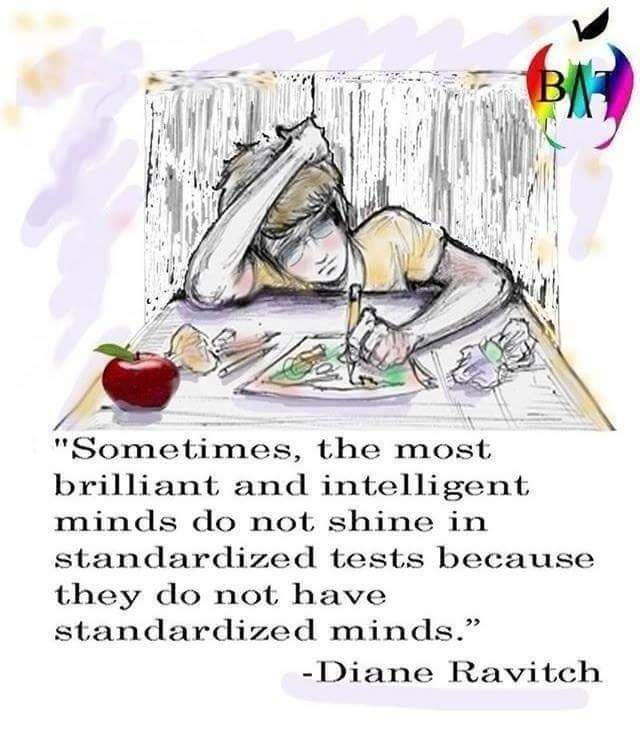 All tests have limitations. One size cannot fit all. 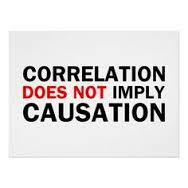 The measurement of predetermined variables and/or educational constructs, that results in a data set that can be accurately interpreted. That basic definition applies to any academic, cognitive, or psychological test. Simply stated, the SAGE/FSA test measure “something.”Per publications from both the Utah State Department of Education, and the Florida Department of Education, that measured “something” is the construct of “career and college readiness” in math and language arts. For parents, lawmakers, teachers and activists, it is imperative to know how accurate and reliable SAGE/FSA tests are in determining “career and college readiness” for public school children. 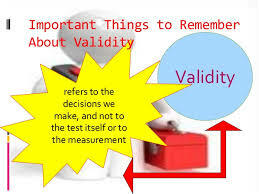 This process of determining the level of accuracy and reliability is called “validity”. Very simply put, “validity” is the extent to which a test measures what it claims to measure. 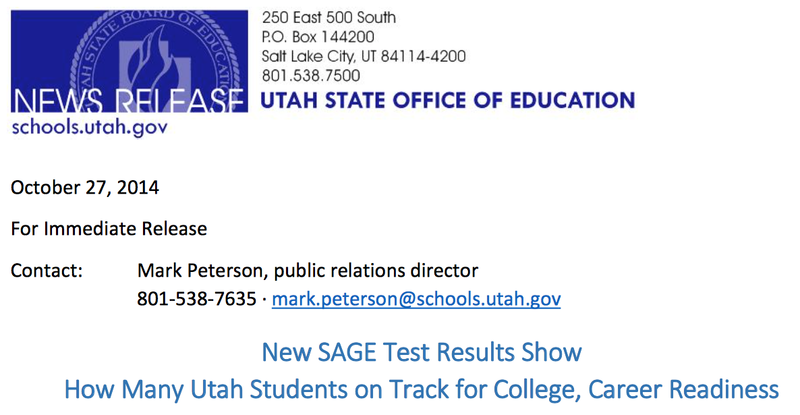 It refers to the ability of the Utah SAGE & Florida FSA to accurately and fairly measure the construct of “career and college readiness” in math and language arts in over 3.2 million combined children in the States of Utah and Florida. The boldest claim ever originated via a State Office administration in this century…..
We have bought into the notion of strict academic accountability via the use of tests designed by American Institute of Research, with the presumption that testing and more testing, coupled with the threat of not being promoted from grade to grade and of not graduating from high school, will be the engine that drives improvement in instruction and student achievement. Yet there are many inherent flaws to this approach, whereas it threatens to leave behind the very students that the legislation and testing movement purport to be helping. A strict adherence toward ethical standards in educational testing can help eliminate the influences of political agendas on the science of tests and measurements. One size does not fit all. No one measure of academic achievement can be the basis of such high stakes consequences in the States of Utah and Florida. “Mike Piazza, batting .332, could win this year’s Most Valuable Player award. He has been good every year, with a .330 career batting average…and a member of each All Star team since his rookie season. The Mets reward Piazza for this high achievement, at the rate of $13 million a year. But what if the team decided to pay him based not on overall performance but on how he hit during one arbitrarily chosen week? How well would one week’s at-bats describe the ability of a true .330 hitter? Rothstein questioned the validity of assessing a student’s knowledge at one point in time. 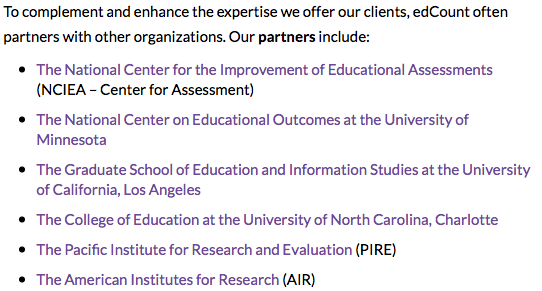 Education researchers disclose relevant sources of financial support and relevant personal or professional relationships that may have the appearance of or potential for a conflict of interest to an employer or client, to the sponsors of their professional work, and to the public in written and verbal reports. (h) In reporting on research, education researchers address any potential conflicts of interest that may have influenced or have the appearance of influencing the research, along with a statement of how these were managed in the conduct of the research. Education researchers adhere to the highest ethical standards, including standards of competence, when serving as reviewers for publication, grant support, or other evaluation purposes. (b) Education researchers disclose conflicts of interest or decline requests for reviews of the work of others where conflicts of interest are involved. Utah has yet to have its own AIR produced SAGE test “independently” evaluated for validity. The test designer, AIR, has yet to supply either Florida or Utah stakeholders with validity “technical manuals” as required by professional educational psychology ethics and practice. There are no validity documents currently available that meets ethical and industry standards regarding the viability of either the SAGE or FSAtest with vulnerable student populations, “divergent learners”, African American, or Latino students. Substantial evidence strongly suggests that both the SAGE and FSAare currently works in progress, and as such, it is reasonable and proper to strongly infer that both tests are still in their experimental phase of development. There is no objective evidence currently available that supports Florida and Utah education administrative claims that the Utah SAGE or Florida FSA test can validly measure “career and college readiness” in any of the approximate 3.1 million combined public school children. There is no objective evidence currently available that supports Florida and Utah education administrative claims that the Utah SAGE or Florida FSA test can validly measure “career and college readiness” in a wide range of “vulnerable” student populations, or that the SAGE or FSA test designer provide evidence that accommodations provided (or rejected) for these students reduce or eliminate bias and fairness issues established via 100 years of peer reviewed research. There is currently no independently validated, or peer reviewed research to support that the new, rigorous academic standards being measured by Florida and Utah educators are developmentally and cognitively appropriate for the students being tested by the SAGE and FSA. The corporations hired to independently evaluate the psychometric qualities of the Florida FSA(using Utah SAGE technical documents as a key source of information) failed to disclose there conflicts of interests, thus calling into question the reliability of the entire $600,000.00 validity report. Alpine Testing did not conduct an independent validity review on fairness, bias, sensitivity, for student populations with learning disabilities, English language learners, or African American students. 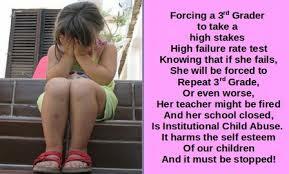 Alpine and Florida relied entirely upon Utah’s department of education “review” of these issues. (A “review” by paid employees of a State education entity does not, on any level, meet the standards of unbiased psychometric analysis required in the private sector world of test validity). 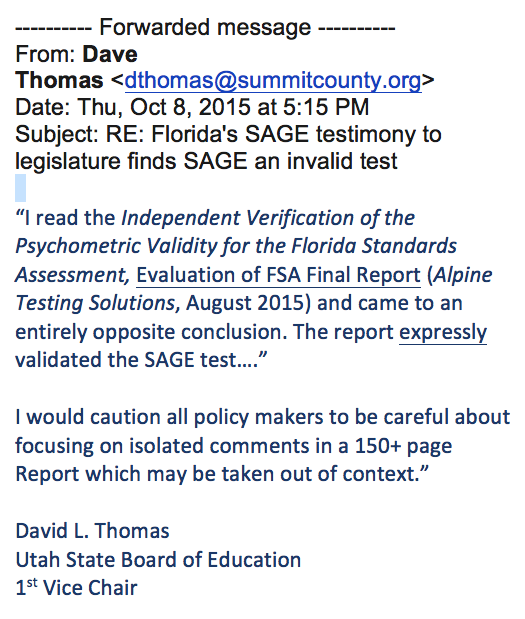 Utah’s “review” of these issues did not include ANY actual validity data regarding the fairness, bias or sensitivity of the SAGE test for these populations for the simple reason that none were done. USOE’s “review” not only does not meet ethical standards, such a review can hardly been deemed either independent, or without potential bias. In layman’s terms, because of the current experimental nature of both the SAGE and FSA test, neither the Utah State Office of Education, the Florida Department of Education, Alpine Testing, or the American Institute of Research has provided ANY psychometric data which indicates that vulnerable student population’s academic achievement has been measured accurately or fairly. In addition, the offices of education in states of Utah and Florida have yet to publish any independent research which refutes the claims of over 500 of the nations leading developmental and research psychologists that the standards being measured are, in fact, developmentally inappropriate to teach (let alone measure with any test, no matter how valid). In summary, it is reasonable and proper to state that a substantial amount of evidence supports a conclusion that both Utah and Florida Offices of Education, via their joint contractual participation with behavioral research corporation American Institute of Research, are in the midst of a massive academic & psychological experiment using public school children as their independent variable of analysis…. …without informed written parental consent. Until these issues have been admitted, clarified, and resolved, it may be in the best interests of parents to heed the instructions of Alpine School Board Member, Brian Halliday, to opt their children out Utah’s SAGE test, or any other test that does not have published documents of validity as such may relate to their unique children. Thanks, Dr. Thompson! Great article! Is this part of your book? If so, how can we purchase it? No book in the making. Got a “child in the making” that is due to arrive in 4 weeks….my time will be entirely devoted to changing poop filled diapers. What I love about Dr. Thompson is that he truly cares about children. Parents would be wise to heed his warnings. Thank you “Jakellmail” for your kind comments. However, please know that I am not attempting to focus the spotlight on me “as the expert”. 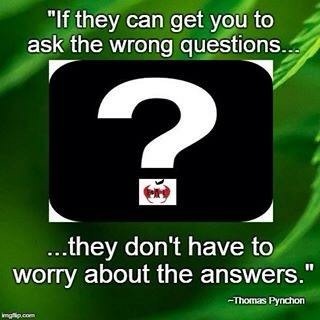 I personally have not given out “warnings” to “heed”: I literally ONLY quote objective, peer reviewed journal articles known as sound, solid science in clinical psychology for the past 100 years; and I reference the ethics codes that mandate particular professional practices for clinical psychologists, educational psychologists, school psychologists, and those entrusted with the monumental task of test development and seeking to independently validate the efficacy of those tests. Quoting and referencing doctors/researchers who are “smarter” than I, and placing their research and established professional ethics as the centerpiece, let’s me sleep at night in peace. “Got a problem with my writings?” Not my problem, since I am not the “expert”, I’m only the messenger. :). I tell folks to send their objections to the American Psychological Association, or clinical/cognitive/developmental psychology departments at Stanford, Harvard, Yale, Berkeley, etc. Not me…who I am or what I think is irrelevant. IMHO, I think that education activists in America who set themselves up as “Gurus”, also set themselves up for needless personal character attacks…which over ends up glossing over the subject matter at hand. (But what do I know? I’m neither a advocate, politician, or public policy genius). All I do is to present objective peer reviewed research, as objectively as I can, and then tell the “world” to either discredited it….or not. It’s that simple now at least for me. If someone does discredit 100 years of peer reviewed research? I have no skin in the game as a objective, local clinical community scientist or as a father….I would be thrilled to be honest. Public policy and politics? Not my expertise. Not my problem. My biggest mistake over the past three years was to engage politicians and public policy “experts” on their proverbial “home court”. I now just write about objective findings in science, push the “Send” button, then go to bed stress free. What the community of parents, politicians, and education policy makers do, or don’t do, with these findings is out of my control, and for the sake of my own mental health, I’ve pretty much elected to basically not give a damn. 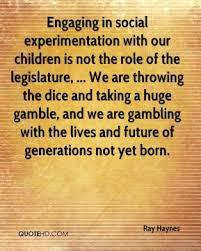 I write to ground level parents who “divergent learning” children similar to mine, then I go about my day stress free. Science accompanied by good ethics is the hero. I hope you and parents around the country get to know them both intimately….or not…. Thank you for YOUR example of being a “parent as expert”. YOU, my friend, are the hero. I don’t know how I missed this! This article is irrefutable. The 11 Findings of Fact that wrap this piece up essentially destroy the validity and utility of the SAGE and FSA. The points cannot be denied; they can only be ignored. Unfortunately, ignoring experts in the field is one of the things the Florida legislature does best. Thank you for pointing out so many points that would otherwise not be exposed. Thank you! I hope you share on your blog site so other parents can educate themselves in their efforts to become the “resident experts of their own children.” Unfortunately, both Florida and Utah education powers are more interested in implementing experimental agendas, as opposed to relying on ethical uses of the tools of clinical psychology. 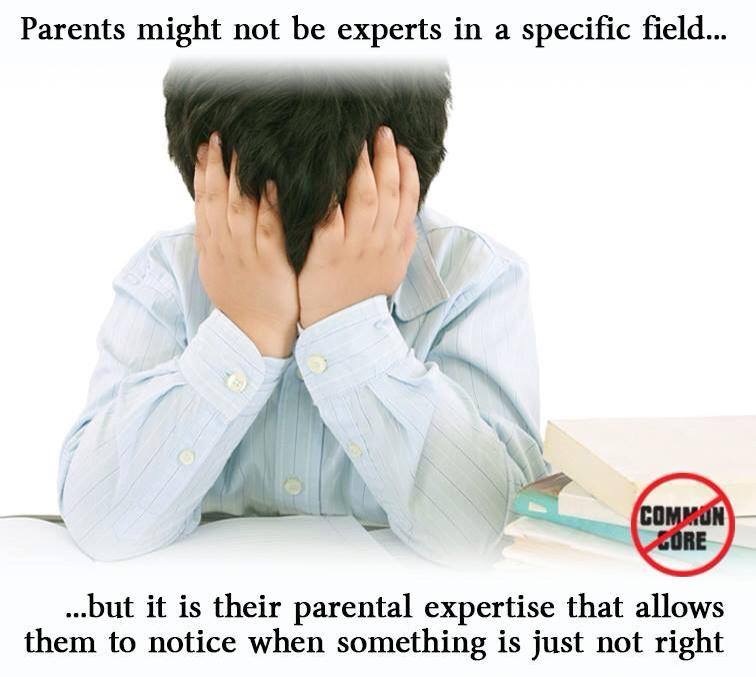 Next Next post: “Parents As Experts” Of Their Own Children: Slick Advertising Slogan, Or Irreplaceable “Best Practices” For Your Child’s M.D., Psychologist, And Public School Policy Makers?